the gold lettering the only glint in the shade. under the windshield wipers of our parked car. his slide into home plate for the winning run. while she stood over the kitchen sink smiling. the RBI’s, the homeruns, the stolen bases. of the bat, the seams of the glove. or the great slide into home base. at bat, or a pop fly bouncing free. in two, chews and then spits. 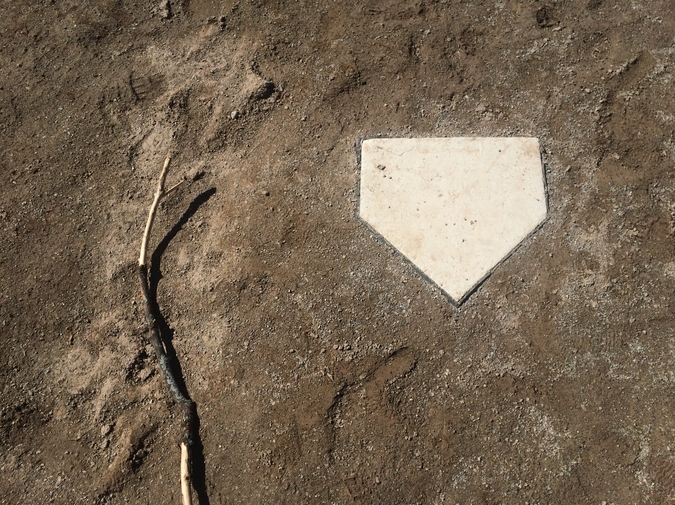 Karen J. Weyant has published one baseball poem in Spitball, but her other poems have been published in Arsenic Lobster, Barn Owl Review, Caesura, Cave Wall, Cold Mountain Review, Conte, Spillway, Sugar House Review and River Styx. She is the author of two poetry chapbooks, Stealing Dust (Finishing Line Press, 2009) and Wearing Heels in the Rust Belt (Winner of Main Street Rag's 2011 Chapbook Contest). She teaches at Jamestown Community College in Jamestown, New York. Her website is www.karenjweyant.com.